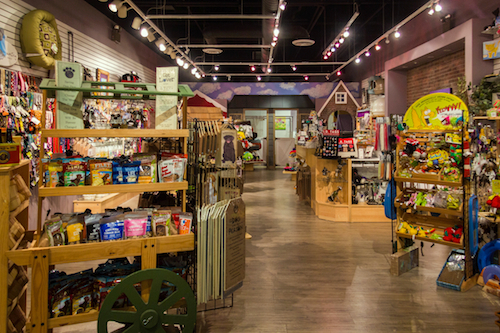 With a combined experience of over 20 years in the pet industry, store owners Jessica and Allen are please to offer a unique selection of all 100% USA designed AND manufactured products for you and your pet. In addition to their online boutique website, they also have a physical store which is located outside of NYC in one of the largest malls in the country. The store not only offers ONLY USA made products but also features a grooming salon, adoption/rescue events, and their kitty orphanage which houses foster kitties from the local shelter. Rather than sell animals they promote the adoption of pets by working with various non-profit organizations. Through their kitty orphanage hundreds of shelter kitties have found new loving homes with 100% of the adoption money going directly to the shelter!! !